What is the Difference Between a Jet & a Plane? How Does a Parachute Work? Even before the advent of the airplane in the early 20th century, humankind had been striving to perfect the parachute. Indeed, rudimentary versions of these life-saving devices date back to at least the 15th century and Leonardo da Vinci. With applications ranging from recreational skydiving to military combat missions, parachutes today come in a variety of forms engineered for specific purposes and settings; accordingly, these work in related but distinct ways. All parachutes are designed for one fundamental purpose: to slow the gravity-driven fall of an object -- often a person, sometimes inanimate cargo -- through the air. They do so by taking advantage of atmospheric drag, a physical quantity that to engineers is more often a nuisance than a boon. The greater the drag generated by a parachute, the more slowly a given object attached to that parachute will descend to Earth. In a vacuum a parachute would be worthless because it would have no air molecules to "pull" against. The main part of the parachute is called a canopy, which balloons outward as its payload begins to fall. 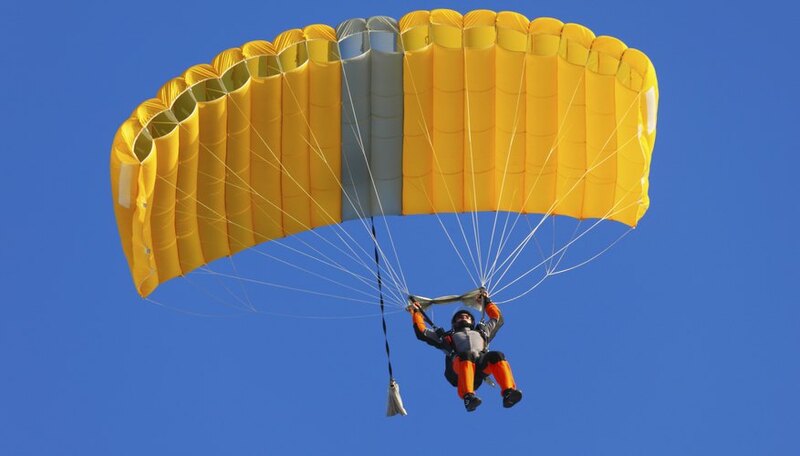 The canopy's shape is the biggest determinant of a parachute's behavior. The earliest round parachutes were circular when flattened out, and this made them notably unstable in action because they resisted forming a dome shape; this led to a high number of fatal accidents. Later, military-built round parachutes worked far better because they were parabolic in shape. Some round parachutes are not steerable, so they travel in accordance with prevailing wind conditions. Steerable round parachutes, however, have holes cut in the edges of their canopies, so their passengers can exert a degree of landing control. Round parachutes are often used in medical missions and in the dropping of military cargo. For many purposes, the original round or conical parachute has been supplanted by the ram-air, or parafoil, parachute. This type of chute has a self-inflating canopy; as a result, on deployment, it creates a much larger drag-force resistance than does a round model, and its terminal velocity is also slower. In addition, the slower descent gives the parachutist greater control over the direction of the fall. For fliers in aircraft traveling at supersonic speeds, which could result in the aforementioned chutes breaking apart, ribbon or ring parachutes are the tool of choice. 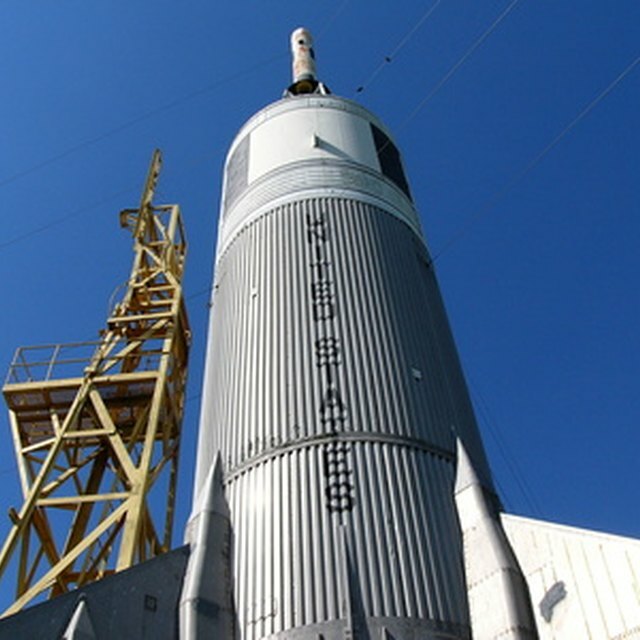 These have holes built into the canopy to lessen the pressure to which the material is subjected, but these holes are not so large that the chute itself is ineffective as a safety tool. Many modern parachutes are highly mechanized, with designs and features that address how the chute works in the critical moments when and after the payload is released from an aircraft. For example, a drogue gun initiates parachute deployment by firing a projectile connected to the chute by a riser at high speed, while a tractor rocket takes the object connected to the parachute out of the aircraft payload compartment, introducing it into the airstream. Finally, a mortar ejects a packed parachute as a single unit, initiating the deployment process rapidly and smoothly. Crystal, Mike. "How Does a Parachute Work?" Sciencing, https://sciencing.com/a-parachute-work-4564095.html. 24 April 2017. What Are Parachutes Used for Today?